We give medicine immediately to our children as soon as we see any symptoms of cold, cough or fever. These three diseases are very common and most of the children get impacted with either cold and cough the every other month. Are you also giving your baby syrup for fever and cold? Are you one of those parents who get their babies injection for fever and cold? Don’t follow the crowd but use your own brain. We must think whether we are supporting our kid’s immune system or making it more vulnerable to future diseases by over protecting our children from all the common diseases. All the diseases are not that much harmful. Some can be a blessing in disguise. You don’t have to trust me blindly. I am neither a medical practitioner nor a health advisor. But, I am a parent of a three-year-old child and I want to share all the things I have learned about common diseases. When my child was born, I was also like any other parent, the over-worried one about the health of my child. If my child sneezes at 2:00 PM, I was there at the doctor’s clinic at 4:00 PM asking for medicine for my little one. But then, I met one wise doctor who helped me out in understanding that what actually cold, cough and fever is. I realized that most of the common diseases happen for a reason, basically to build the immune system of the child at an early stage of life. Have you heard the story of a caterpillar? which never became a beautiful butterfly. Let me tell you the story. There was a caterpillar, trying to come out of the cocoon. The caterpillar was struggling very hard but the cocoon was difficult to break. He took his legs out of cocoon but failed to come out. A generous child was looking at the scene very carefully. He thought of helping the caterpillar and taking it out of the cocoon. 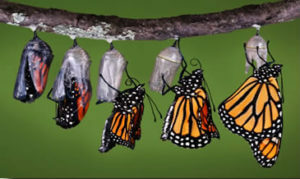 He helped caterpillar and progressed in taking the caterpillar out of the cocoon. Can you guess, what happened next? Caterpillar did not survive for long. It did not turn into a beautiful butterfly. Its wings were weak because the struggle to come out of the cocoon actually gives strength to its wings and internal system. And, as it did not happen the way it should have to because the boy has helped the caterpillar in coming out of the cocoon. The caterpillar did not use its wings and thus, they were not having the same strength they are supposed to have. I’m pretty sure, that you have understood what I am trying to convey. I’m pointing my fingers towards the immune system of our children. Let’s not get into the medical details of cold & cough but understand it at a very basic level. Cold is a body condition, in which symptoms like sneezing or mucus coming out of the nose are observed. Cold can be caused due to the change in the weather conditions, bacterial infection, viral infection or due to a side effect of an another disease. There are more than 30 types of bacteria that can cause cold in infants. In most of the cases, the child develops immunity against the bacteria that has caused an infection. After that, particular bacteria will never be able to affect your child when its signature is recorded in the child’s immune system. Most of the children are affected with cold every month after they start going to school or a creche. The primary reason for their cold is the infection from a different kind of cold every time. The environment is same for adults also, but they don’t catch cold easily. Children with weak immune system get impacted with cold. says Taylor, a medical officer in FDA’s Division of Pediatric and Maternal Health. As per another research by University of Wisconsin-Madison, scientists have constructed a three-dimensional model of the pathogen that shows why there hasn’t been any cure yet for the common cold. In most of the cases, cough comes supplementing the cold. There could be some other reasons of cough as well – like some irritants, allergies, throat infection or the side effect of some other disease relating to throat & lungs. In almost all the cases, cough serves as a valuable purpose – throwing out the mucus out of one’s lungs. Then why does a cough is considered bad? Just because it’s irritating – Right? If you want to cure cough, then cure the disease which is causing the cough. The baby cough will go away itself when the lungs are clear off from unwanted mucus & dust. Sometimes your kid might have a dry cough; it means a cough without any mucus. A dry cough is caused because of some infection or irritation in the throat. Apply some home remedy to soothe the throat of your child. We can say that cold and cough are very much related to each other and coughs are a normal symptom of cold. Did you ever wonder why anyone has fever during a disease? Why body raises its temperature? Can there be any good purpose of fever? Definitely, there it serves as a good purpose. There are certain bacteria & viruses which get killed by the high temperature of the body. The high temperature is a natural weapon for the body to fight against diseases caused by bacteria & viruses. You can read our recent article to know more about How to Choose the Right Thermometer for your baby? A fever is a symptom that something is not normal in your body. It serves as a signal like a fire alarm in your body. So, what should you do in case of a fire alarm in your building? Break the irritating alarm or take action to control fire? Of course, you will do something to control the fire. You should cure the root cause of fever, not just the fever. One more thing, the degree of temperature will not tell you about the seriousness of the illness. Your child may have a high temperature with a mild disease like the common cold. It can also happen that your child has a minor temperature even with a serious illness. Let the immune system fight naturally with the infections by its weapon “fever” while you can help the body to cure the root cause of the fever. Remember that medicines like ibuprofen may reduce the fever but not the actual infection. Understanding, what is the immune system? We cannot see the immune system working on a daily basis but we can notice the immune system when it fails or stops working. When any bacteria or virus enters into our body system, it may disrupt the normal functioning of the body. We inhale thousands of microorganisms daily through the air and our Immune System protects us from all the germs present in the air we breathe. Our immune system knows well, which germs can do good to our body and which can make the situation worse. However, it goes with time and common diseases that help our immune system in the learning process. Immune system keeps on killing all the harmful germs but in some rare cases, our system fails to identify the disease causing micro-organisms. So, we get infected with common diseases like cold & cough or serious diseases like Chickenpox, pneumonia & MMR. Once our body is attacked by foreign germs, our immune system gets an alert and it starts working onto killing the disease causing germs. Medicine is nothing but a chemical. A chemical that goes into our body and spread in the nerve system through blood. Generally, we take medicines by mouth like tablets, capsules or syrup. Other methods of taking medicines are applying directly on the skin (ointment), drops into eyes/ears/nose or the injections into organs or veins. Let’s discuss the most common way of taking medicines – that is through mouth (oral medicines). When anyone consumes medicine by mouth, it goes into the stomach and starts dissolving. Some medicines are absorbed by the stomach lining and some are passed to the small intestine. At the end, medicine gets into the blood of the person. The medicine molecules are delivered to all organs throughout the body by circulation of blood. The heart pumps the whole blood circle in about a minute. If you are taking a medicine for headache, then medicine is delivered to all organs of the body, not just the head. The body cells start absorbing medicine molecules from the blood. The chemicals in medicine will start with the biochemical reaction and will fix the tissues that need to be repaired. We see the impact of medicine only on the affected system (like headache) but actually, it impacts the whole body. What is the role of antibiotic in the body? Antibiotic medicines do fight with the bacterial infections in the body but antibiotics are useless for the infections caused by viruses. Antibiotics should be taken only in case of bacterial infection. You must complete the course of giving antibiotics to your child, even though if you see some improvement in two days. All bacteria have to be killed otherwise they will multiply themselves again and the disease will gain strength. When to call a doctor? Try to give fruits & vegetables to your child that boosts immunity. But there might be situations when the immune system will not be able to heal the body by itself. It needs an external help from medicine and the doctor. As per FDA, you should call a doctor if you see any of following symptoms in your child. If you are giving any medicine to your child then remember to give the exact quantity as prescribed. Don’t use kitchen spoons for giving syrup because they vary in size. Join the community of 500,000+ parents and doctors. Ask your first question in the app. Disclaimer: The views expressed in this article are of the author alone and don’t reflect the views of Babygogo.